What are the 2019 public-holiday challenges for South African businesses? First, knowing whether an employee ‘ordinarily works’ on the day on which the public holiday falls is essential for remuneration. 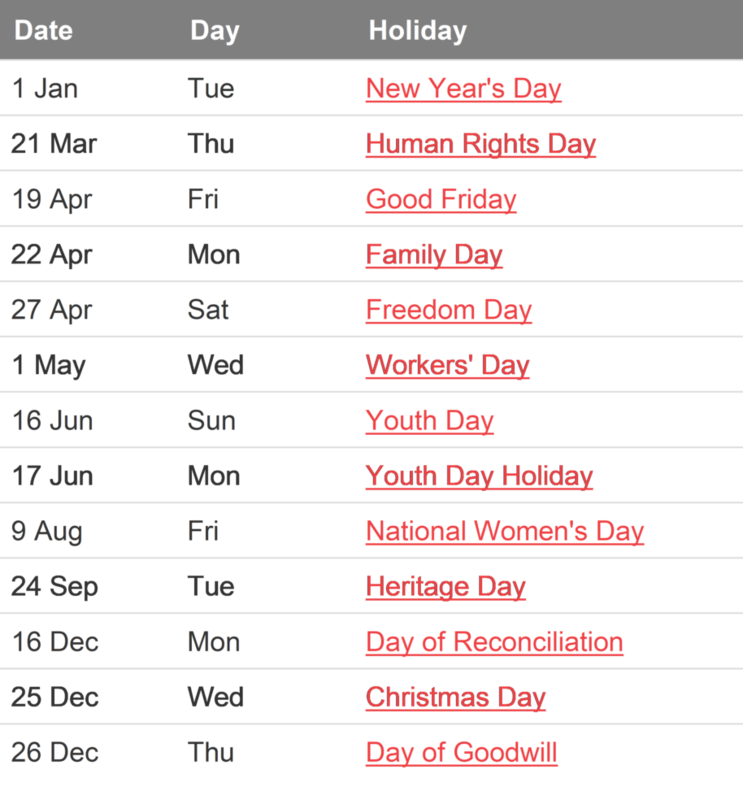 Freedom Day (27 February) for example, falls on a Saturday this year. It will not affect employees who only work weekdays, unless they work overtime that day. Second, this is an election year and election day (sometime in May?) is usually proclaimed as a public holiday. Finally, expect employees to apply for leave on Friday, 22 March 2019 and during the week of 1 May 2019 to create long weekends. Plan ahead regarding how work will be affected and how you will manage requests or even swap days. Do you have any special challenges? Please add your comments below. Cost for Chamber members: R675pp; 3-4 delegates R640pp; 5+ delegates R590pp.